JDL street art just returned from Athens (Greece) where she was invited by Andreas C Tsourapas, the curator of Athens Street Art Festival (ASAF) to paint several walls for the municipality of Nikaia, including a 15 meter high mural entitled “Cocktail Girl”. 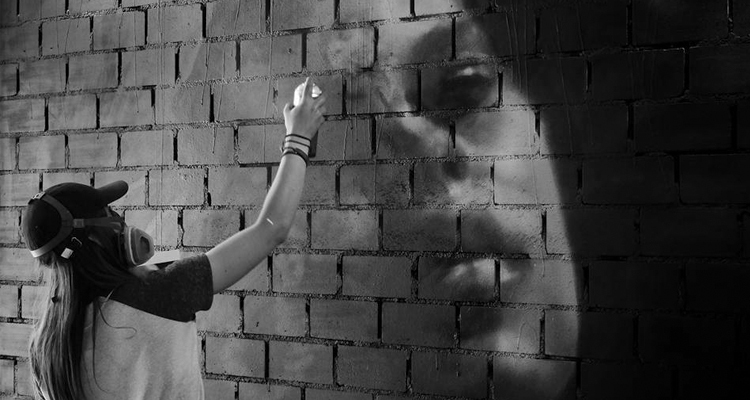 JDL street art is a 21 y/o female and international urban artist, based in Amsterdam. She started with spray paint at the age of 15, and became serious about it a couple of years ago. 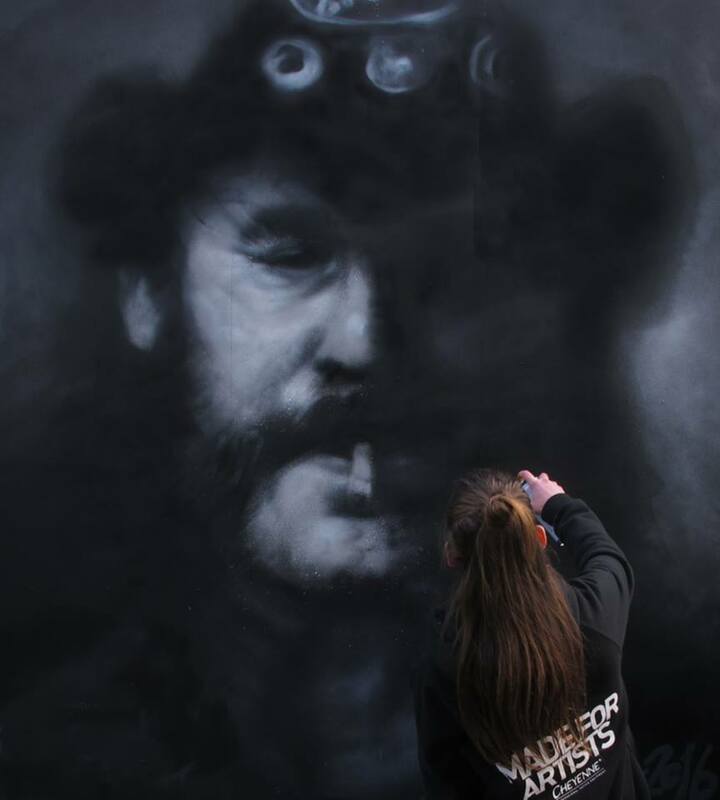 She is best known for her black and white spray paint realism. According to UNHCR, there are around 167000 registered refugee arrivals by sea in Greece. The vast majority of these attempting this dangerous crossing are fleeing war, violence and persecution in their country of origin, caused by greed and corrupt politicians. These refugees face discrimination, racism and widely cast aside. This issue brings the ‘outsiders’ to a harder case worldwide. They are being rejected, people claim that they are taking their jobs, etc. It’s a funny paradox, to live in a world where beliefs and cultures are fighting, mainly because the Jews, Christians and Muslims, all pray to one God. After recognizing this serious situation worldwide and with a special definition to Greece, and also because that is where the mural was located, JDL street art decided to paint a mural dedicated to peace in all cultures and faiths free from religion. Her opinion is clear; the world should be seen as one and not as selfish individuals. 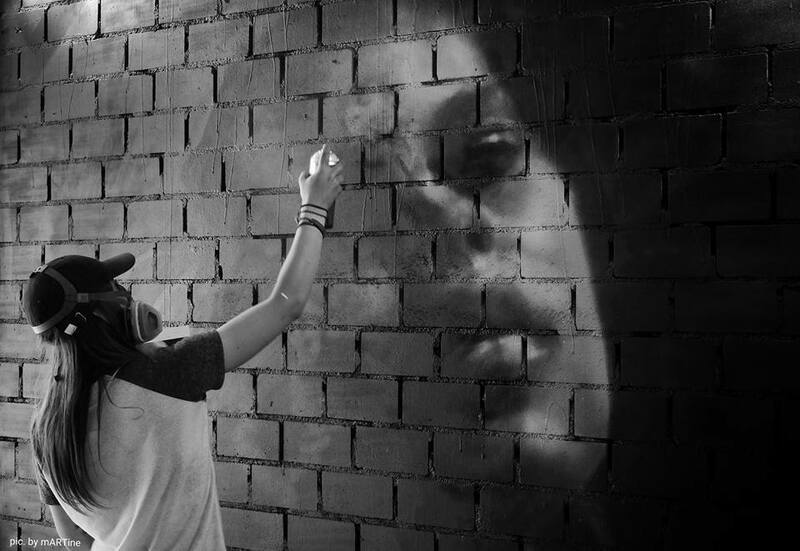 With a series of walls representing many cultures and beliefs, she forced the locals to notice the situation. The first mural she created was the ‘cocktail girl’ and she wrote underneath the mural: ‘we are all children of the world’. JDL street art hopes that these murals will bring awareness to the refugee and hopefully this attention will get the locals talking more about their unfair hate against different cultures and races. *The piece underneath JDL’s work says Aγάπη, which means ‘love’ in Greek and is done by the well-known graffiti writer INTS GRAFFITI. To check out more of his work, click here. Athens street art festival is an influential source on the street art in Europe. Within 5 years ASAF invited more than 120 artists and painted more that 20,000 m2 on Public Schools and Building in Athens.